It has been a pretty long time I have not been writing for you guys and giving some nice hotels I have been staying at. For this Barcelona excursion, I am staying at the hotel Olivia plaza, right on the Plaza Cataluyna. You will als be able to enjoy whether for lunch or for dinner the restaurant Nineteen, and the nice terrace in the back of the hotel. If you want to stay in Barcelona’s city centre, you will not find more central location. From here, you can reach las ramblas, Paseo de gracia, Casa battlo, etc… in a stroll. Have a nice stay at the olivia! This entry was posted in 2. 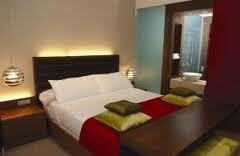 Barcelona, 2.1 Plaza Catalunya, 2.2 Ramblas, 4 star hotels and tagged 4 star hotel, Olivia Plaza Hotel; PLaza Catalunya. Bookmark the permalink.